The present Volume blazes a new trail in the interpretation of the Rgveda, The oldest and outstanding work of world literature, which has influenced the religion, philosophy, law, literature and culture of India. 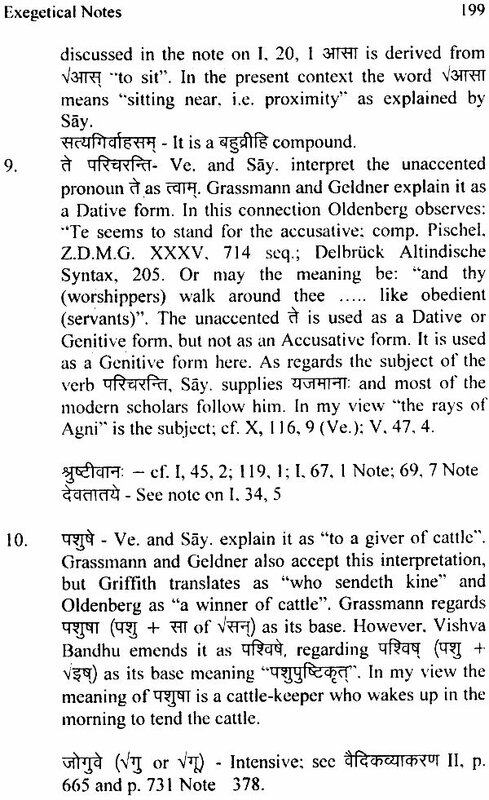 In order To dispel the confusion and misconceptions arising from the diversity of arbitrary and inconsistent commentaries and y translations of this sacred text, the present author has presented a lucid, consistent and rational translation of The Rgveda with a critical review of important interpretations ancient and modern offer a thorough and minute examination of all the relevant Vedic passages. In his interpretation the author follows the guiding principle that the Veda must shine with its own light, without any prejudice or predilection. 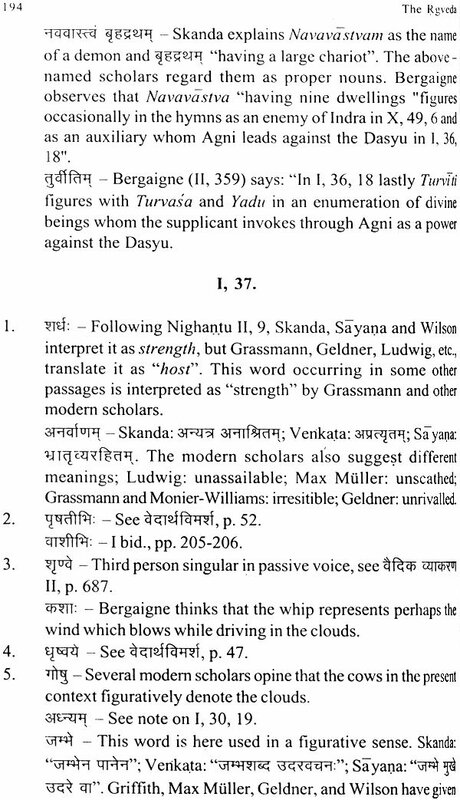 In The Exegetical Notes appended to the translation the author refers to the divergent views of the ancient Indian commentators and modern Vedic scholars on the interpretation of obscure and rare Rgvedic words together with his own conclusions on the subject. 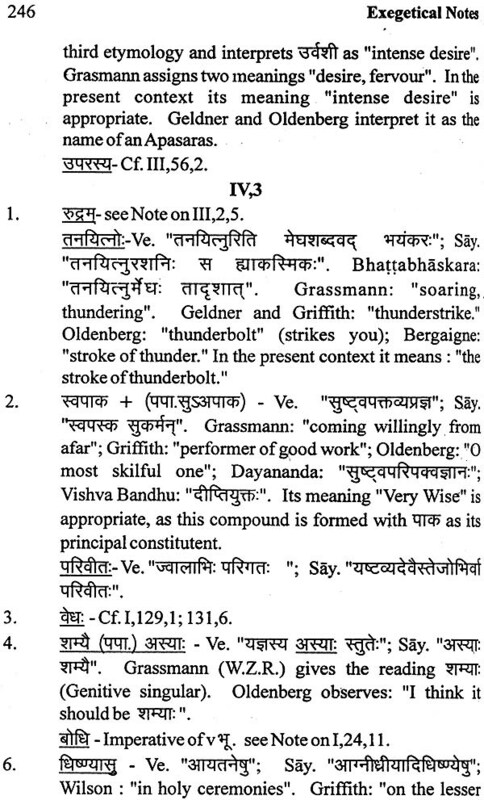 Besides, the doubtful grammatical forms of the relevant Rgvedic words have also been discussed in The Notes. Professor Ram Gopal, a former Vice- Chancellor of M.D. University, Rohtak, and formerly Kalidasa Professor of Sanskrit and Head of the Department of Kalidasa Chair, Panjab University, Chandigarh, is and eminent Sanskrit scholar of international repute. He is an acknowledged authority on the Vedic language, literature and culture. 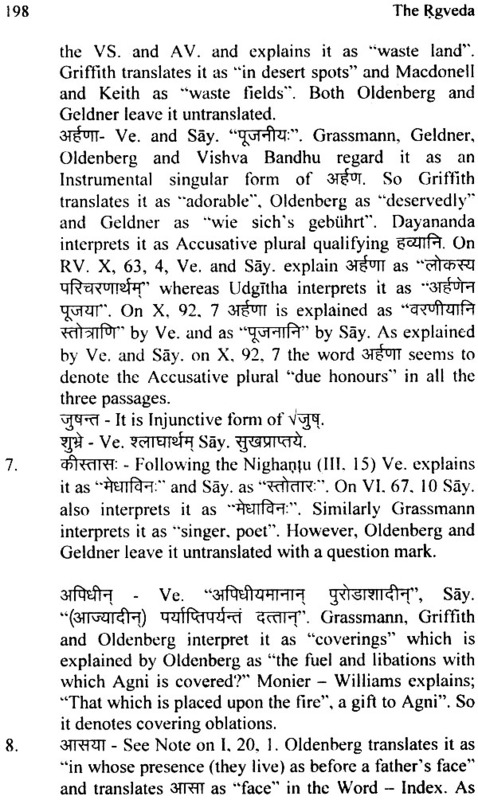 His outstanding and original research works which include India of Vedic Kalpa-Sutras, Vaidika Vyakarana (in two volumes), Vaidika-Vydkhya-Vivechana, Vedartha-Vimarsa, The History and Principles of Vedic Interpretation, K6Iid6sa: His Art and Culture, The Vedic f Language and Exegesis have been highly appreciated by the renowned scholars of Sanskrit and Indology all A over the world. In recognition of his outstanding contributions to the realm of Sanskrit studies he was awarded the Independence Day Award, Certificate of Honour in Sanskrit, by the President A of India in 1971. And the same year he was honoured by the Haryana Government also with the State Literary Award in Sanskrit and a Felicitation Volume. The Ministry of Education and Culture, Government of India, awarded S him a Literary Prize of Rs. 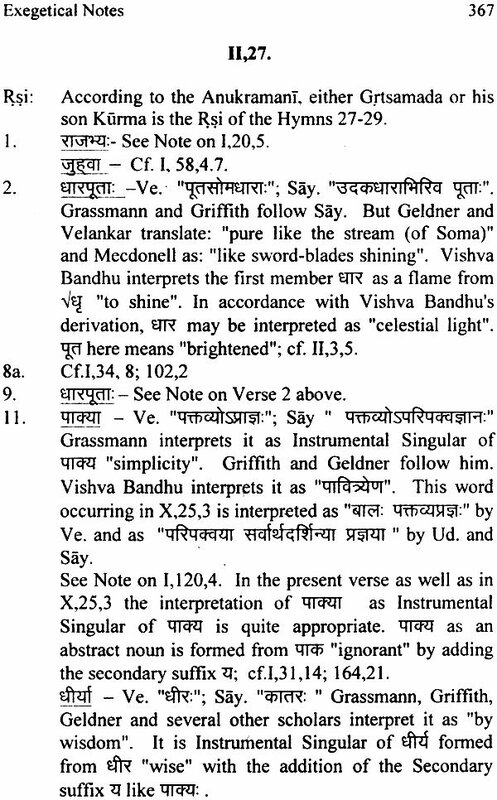 l0,000 in l98l in appreciation of his reputed research work Vaidika Vyakarana (in two Volumes). He was honoured by Masharshi Sandipani Rashtriya Veda-Vidya Pratishthana Ujjain with a Citation and a Cash Award in 2003. He has chaired several seminars, symposia and conferences connected with Vedic studies. He was the President of the Vedic Section of the All India Oriental Conference held in l966. 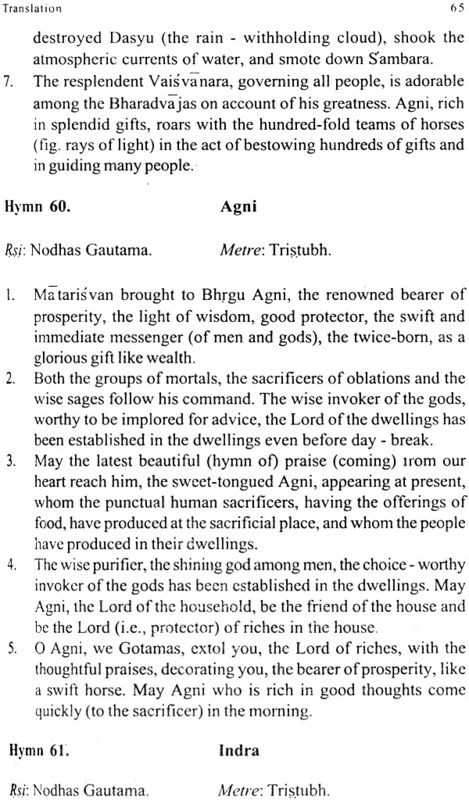 The Vedas are not only the holy scriptures of the Hindus but are also a precious heritage of the entire human race. The Vedas occupy a unique place in world literature not only because of their hoary antiquity but also because of the sublimity of their thought and the deep influence exercised by them on the religion, philosophy, laws, literature and culture of India. 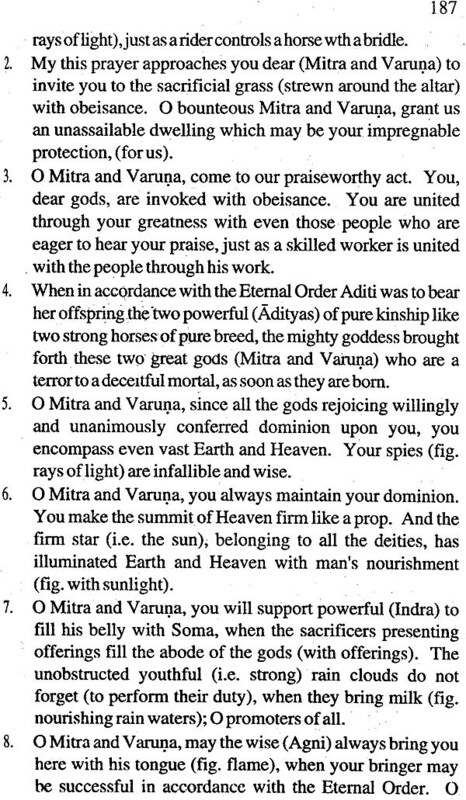 Since time immemorial the Hindus have been drawing inspiration from the Vedas and look upon them as the supreme authority in all matters concerning religion, laws and social conduct. Millions of devout Hindus perform their religious rites with the recitation of Vedic Mantras. Although Hindu religion has undergone significant changes in the course of millennia, its basic structure is essentially Vedic in form and substance. It is, therefore, impossible to understand properly the evolution of Indian ethos and to trace the original sources of Indian civilisation without an adequate knowledge of the essentials of Vedic thought. 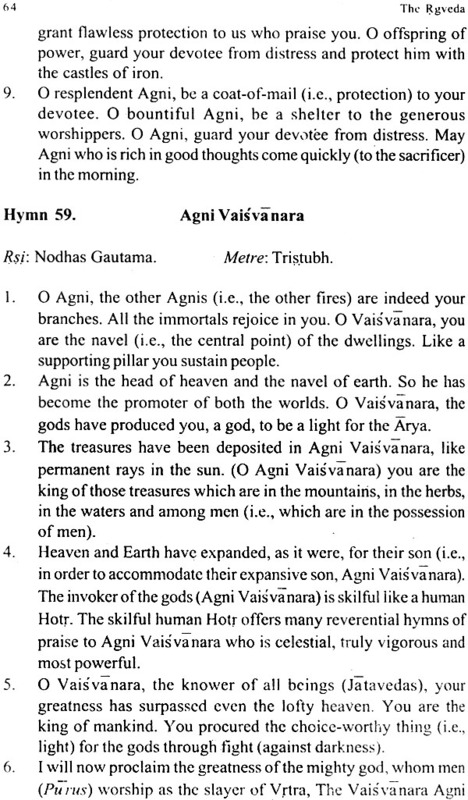 The Vedic corpus is headed by the Rgveda which is a collection of nearly ten thousand verses called Rks in praise of various deities such as Agni, Indra, Varuna, Savitr, Soma, Asvins, Visnu, Rudra, Maruts, etc. 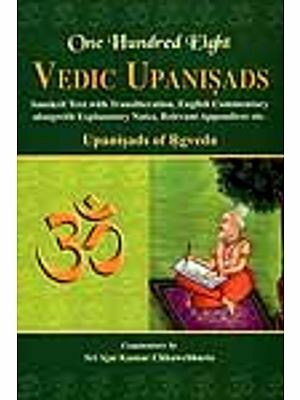 The Rgveda, which is in fact not a single look but a whole literature, is undoubtedly the Veda par excellence, as it is entirely original and the other three Vedas are indebted to it for a large number of verses contained in them. 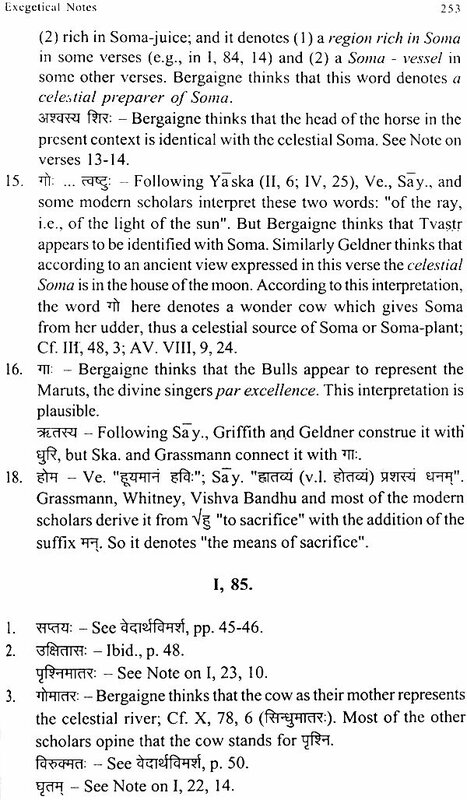 All the verses of the Samaveda except 75 have been derived, from the Rgveda for the purpose of singing at the performance of Soma sacrifices. Nearly one-fifth, i.e., 1200 verses of the Atharvaveda have been borrowed from the Rgveda. The Samhitas of the Yajurveda owe hundreds of their verses to the Rgveda. 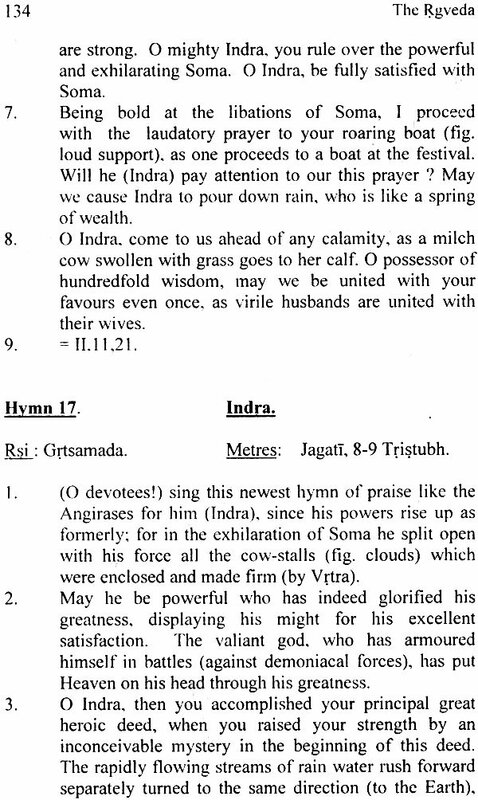 For instance, nearly 800 verses of the Rgveda have been adapted in the Sukla-Yajurveda for ritual purposes. 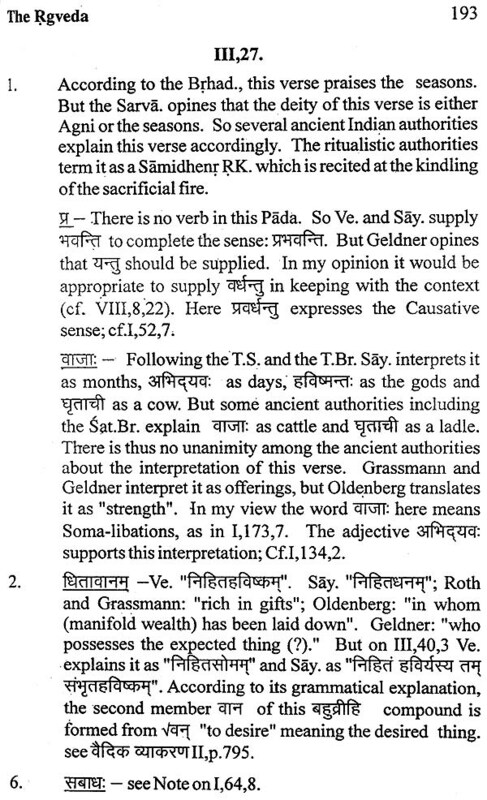 Although several Sakhas (recensions) of the Rgveda are mentioned in the later works, the vulgate recension of the Rgveda belongs to the Sakala Sakha and only a few verses of the Baskala Sakha of the Rgveda are found cited in some ancillary works of this Veda. 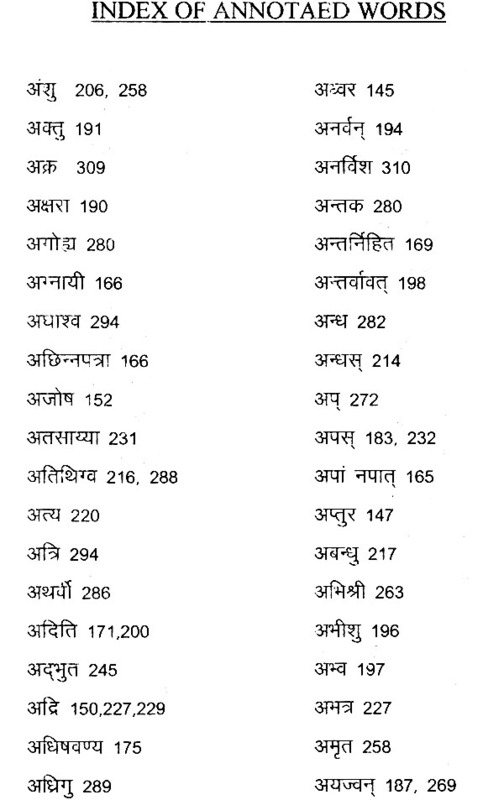 The vulgate recension of the Rgveda contains 1017 Suktas (Hymns) divided into ten Mandalas (Books), and this number comes to 1028 with the addition of eleven Valakhilya (Supplementary) Hymns p inserted after the 48"‘ Hymn of the Eighth Mandala. The collection of the Rks arranged methodically in accordance with the rules of Sandhi (euphonic combination) is designated as the Rgveda—Samhita in contradistinction to the Padapatha where each word is shown as an independent entity free from euphonic changes. 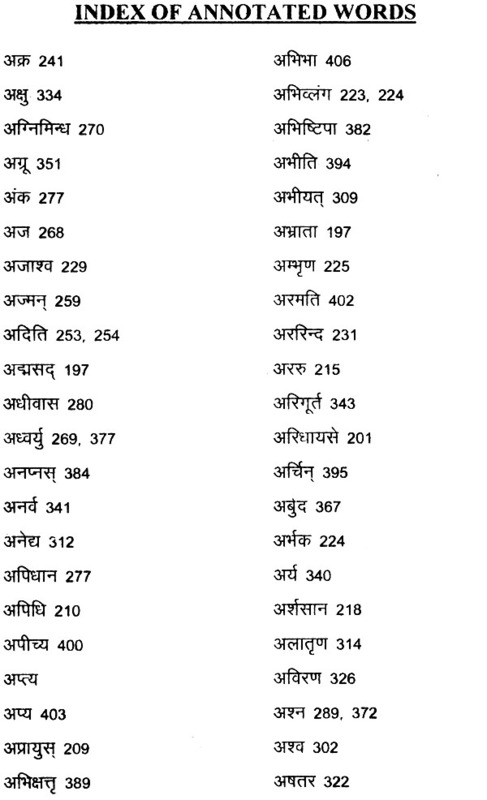 Similarly when the other Vedas are subjected to the rules of euphonic changes, the appellation of Samhita is suffixed to them, e.g., the Samveda- Samhita, the Atharvaveda-Samhita, the Taittiriya-Samhita, and the Vajasaneyi-Samhita, (of the Yajurveda). The Second Volume completes the interpretation and translation of Mandalas I and 11, as the First Volume covers only 1-121 hymns of Mandala 1. As regards the characteristic features of these two Mandalas, it may be pointed out that Mandala 1 is the longest Mandala of the RV containing more than two thousand verses (constituting nearly one fifth of the RV. 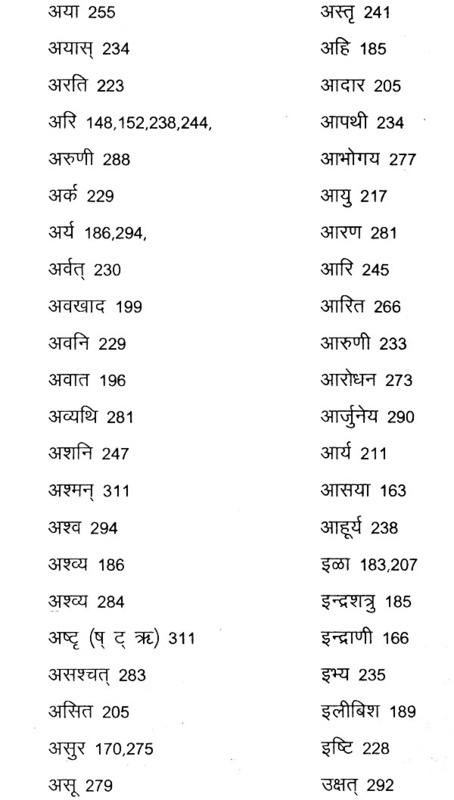 ), whereas Mandala X which equals Mandala I in respect of the number of hymns (191) contains 1754 verses. 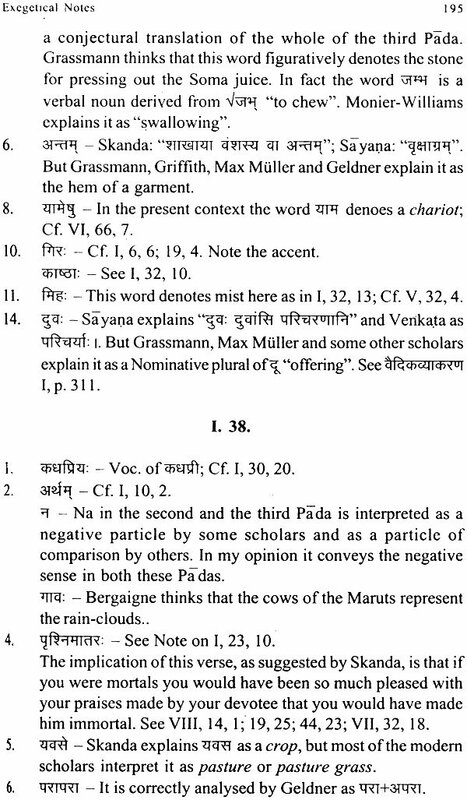 Moreover, the language of Mandala I is more archaic than that of Mandala X and contains a fairly large number of rare and obscure words which do not occur elsewhere in the entire rang of Vedic literature. The Rsis of Mandala I do not belong to any single family, whereas the Rsis of Mandala 11 belong to Grtsamada family. Mandala I is the shortest Mandala of the RV., containing 43 hymns. 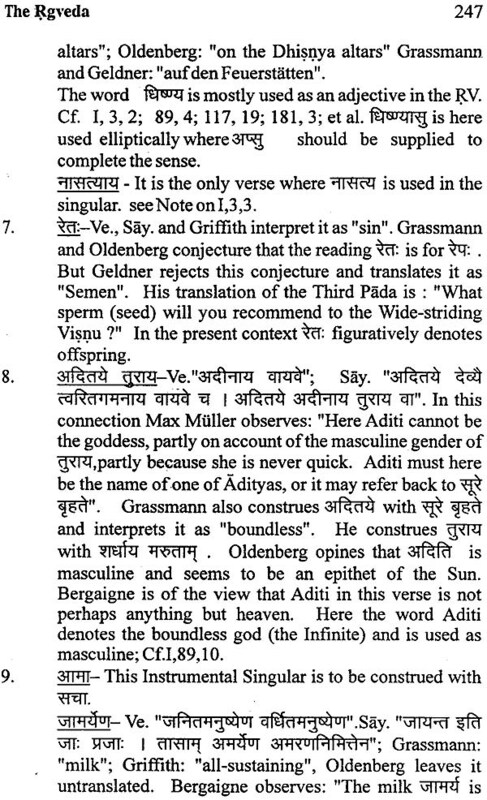 In the Preface of Volume I we have pointed out that several modern scholars resort to the device of emending the traditional Vedic text to interpret some rare and obscure words. 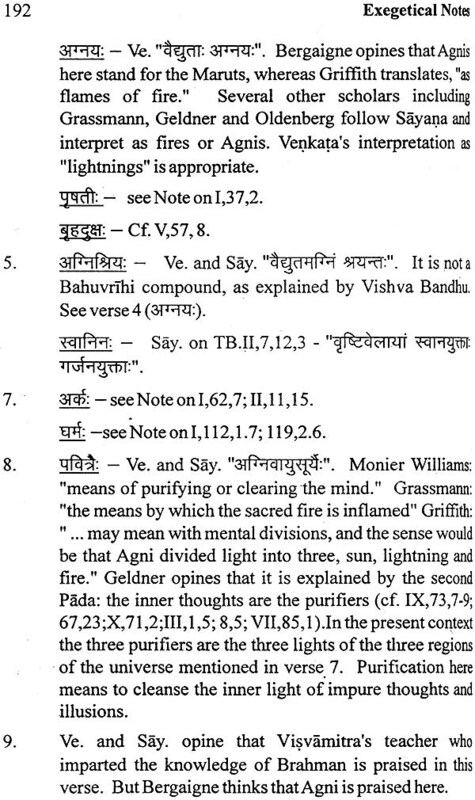 This practice does not help in the interpretation of Vedic words and does gross injustice to the sacred text which has been so assiduously preserved for thousands of years. 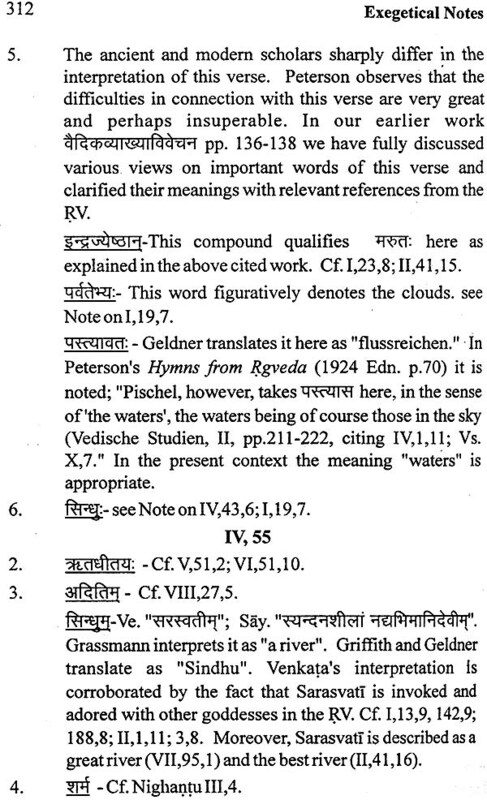 In our interpretation of such Vedic words we have shown that the emendations suggested by some modem scholars are not only unwarranted but also unnecessary, because these words can be satisfactorily explained without emendations. 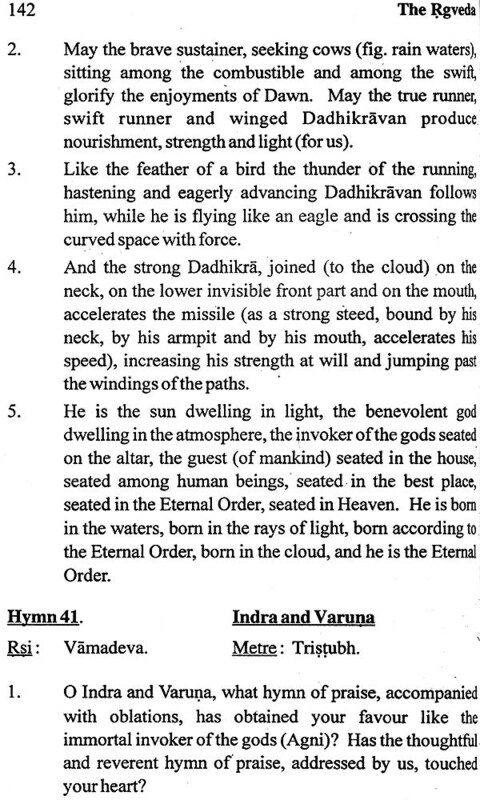 As discussed by us in our earlier work The History and Principles of Vedic Interpretation” (pp.39-59), certain Rgvedic hymns have been interpreted by the ancient Indian Bhasyakaras and by most of the modern scholars in accordance with the legends connected with them in the later Vedic and post Vedic works. One such hymn (I.179) figures in the present Volume. 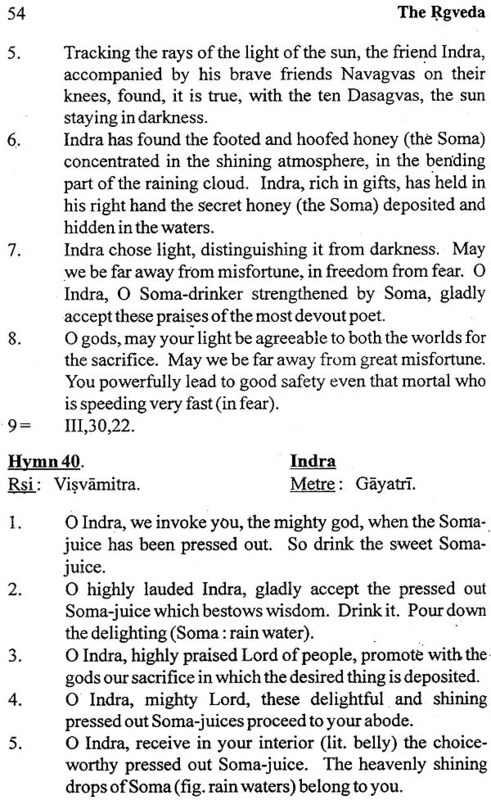 According to the Brhad, Sarva... and Nitimanjari this hymn is a dialogue between the sage Agastya and his wile Lopamudra. So it has been interpreted accordingly by the Bhasyakaras and most of the modern scholars. But, as observed by us in our earlier work (op.cit. p.59), several examples discussed by us in that work clearly show that since very ancient times - the legends relating to the Vedic Mantras have not been taken in their literal sense by several Vedic authorities who V have endeavoured to explain their allegorical meaning. In this Volume we have also not followed the legend in its literal sense and have endeavoured to find out the metaphorical and etymological meanings of the key words of this hymn. 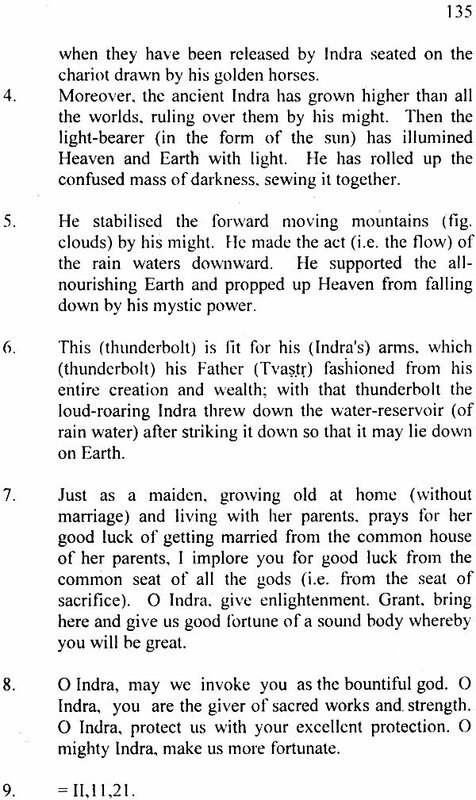 According to our interpretation there is no dialogue between the sage Agastya and his wire Lopamudra in this hymn which in fact poetically and l cryptically describes the Earth’s prayer for rain and the rain god’s (Parjanya’s) response to it. The ritual application of certain Rgvedic Mantras in the later ritualistic texts has led most of the ancient Indian commentators and some modern scholars to put ritualistic interpretation on such verses and hymns, as discussed by us in our above mentioned work (op.cit. 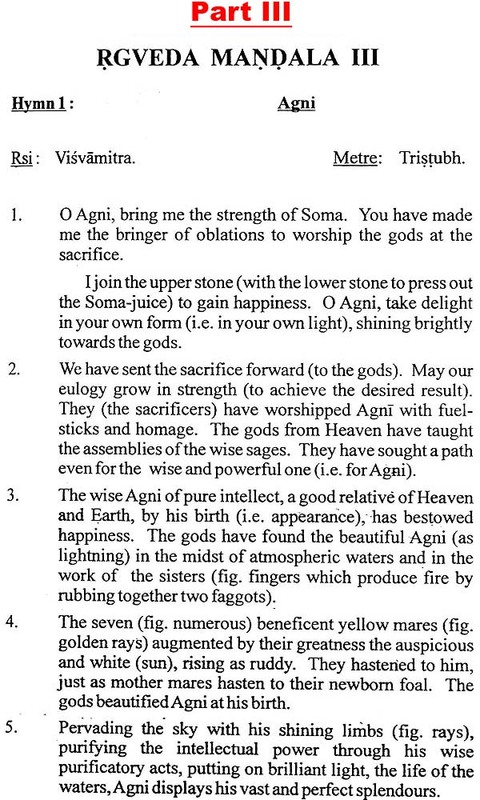 pp.22—37). A telling example of ritualistic misinterpretation is found in the case of hymns 162 and 163 of Mandala l, which magnify Asva. 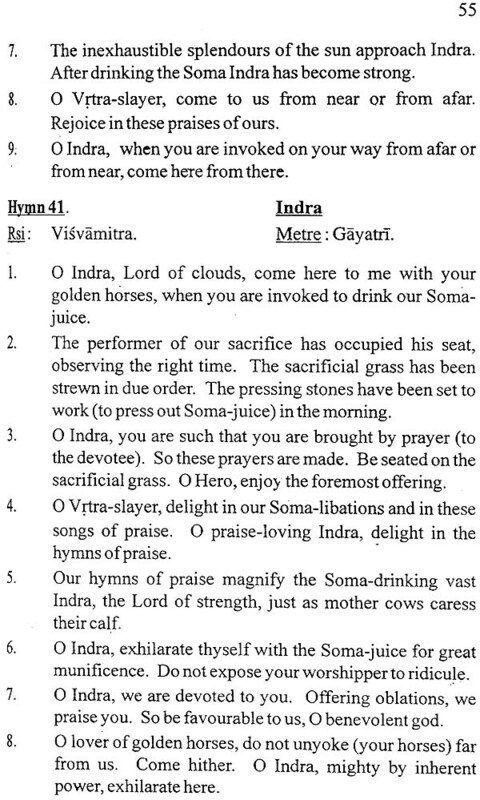 As the verses of these hymns are found incorporated in the Samhitas of the Yajurveda and are also cited in the ritualistic texts for the purpose of their recitation at the performance of the Asvamedha sacrifice the ancient Bhasyakaras and most of the modern scholars interpret Asva of these hymns as the sacrificial horse to be l immolated at the Asvamedha sacrifice. 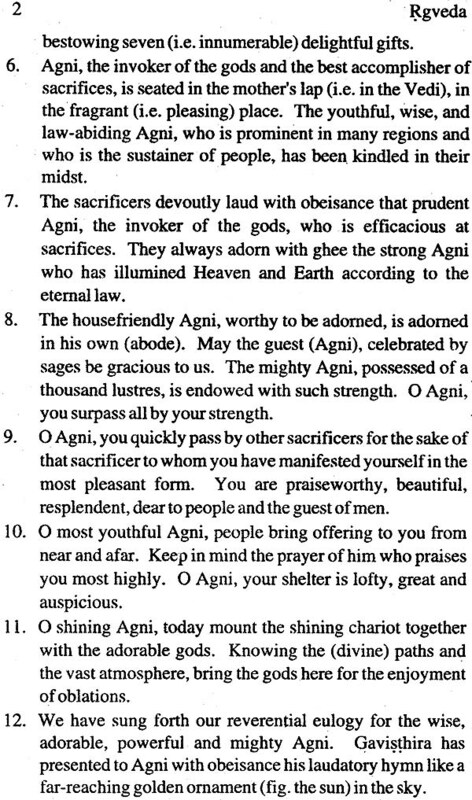 However, several modern scholars have pointed out the peculiar features (as noted in our Exegetical Notes) which distinguish the subject matter of these hymns from the Asvamedha sacrifice described in the ritualistic texts. Moreover, if these two hymns are minutely examined, keeping in view the tenor of Rgvedic thought and its metaphorical style it will be clear that there is neither the description of any animal rite nor the eulogy of a sacrificial victim in these hymns. In fact these hymns pose a riddle which can be solved by determining the metaphorical meaning of the obscure verses in accordance with the Vedic usage. There is ample evidence in these hymns to show that Asva eulogised therein is not an animal but some important natural phenomenon. 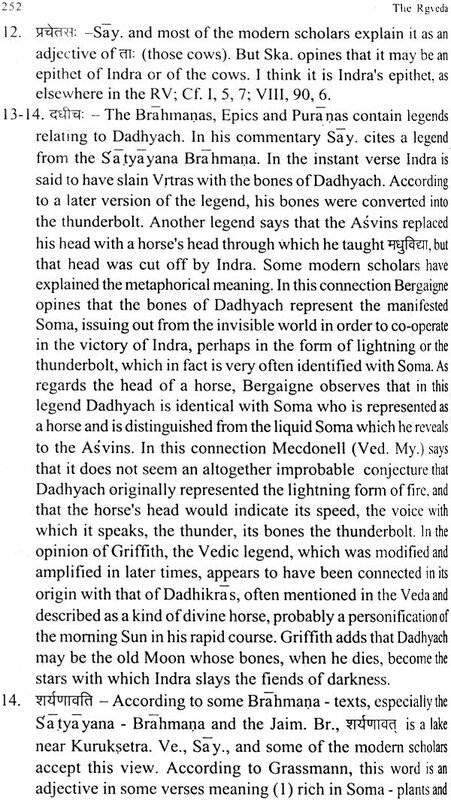 For instance, the animal Asva has got no horns, whereas the horns of the enigmatic Asva are alluded to in I.163, 9.11. 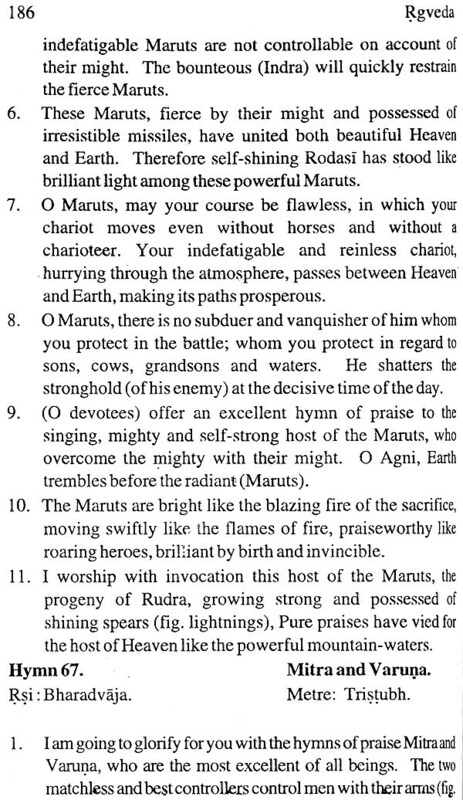 There are several instances of this kind discussed by us in the interpretation of these hymns. 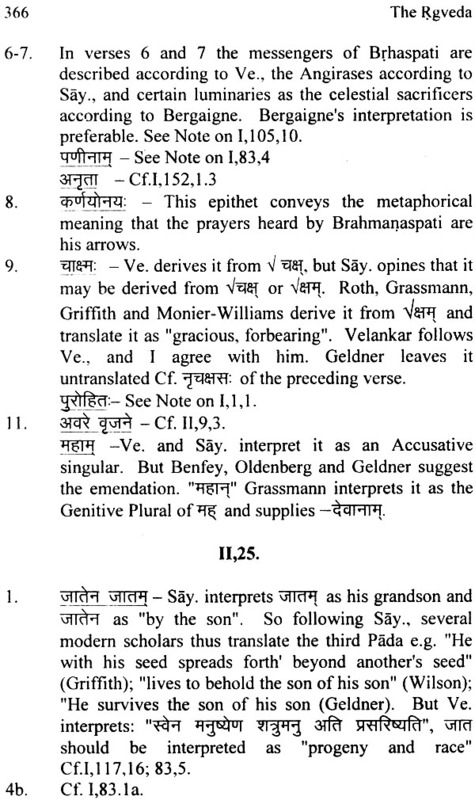 The Volume III comprises the translation and interpretation of Mandalas III and IV ascribed to the families of Visvamitra and Vamadeva respectively. 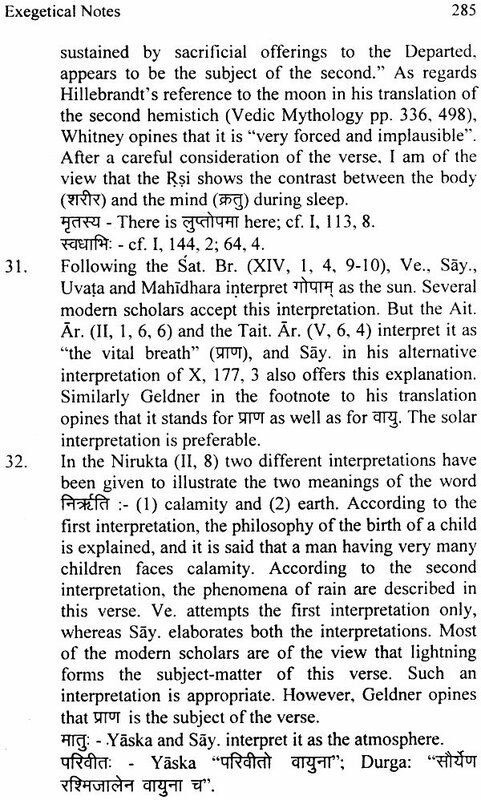 It is abundantly clear from a study of Mandala III that the seers of this Mandala are well acquainted with the region lying between the rivers Sutudri (Satluj) and Sarasvati. 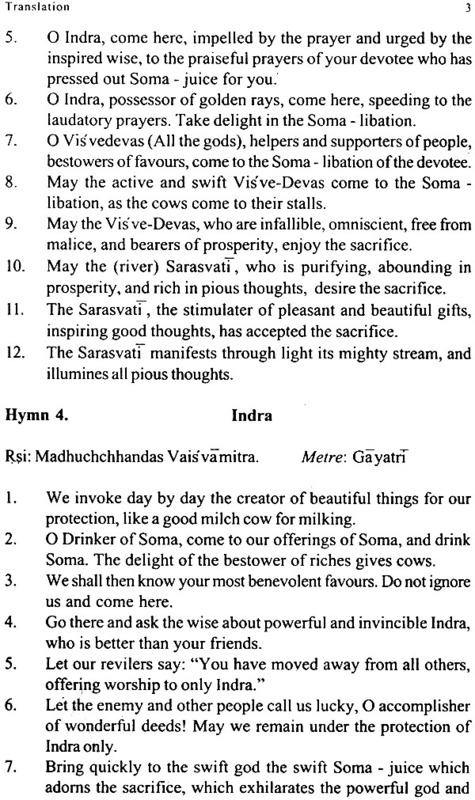 The hymn 33 of the third Mandala contains a dialogue between the seer Visvamitra and the rivers Vipas (Beas) and Eutudri (Satluj). 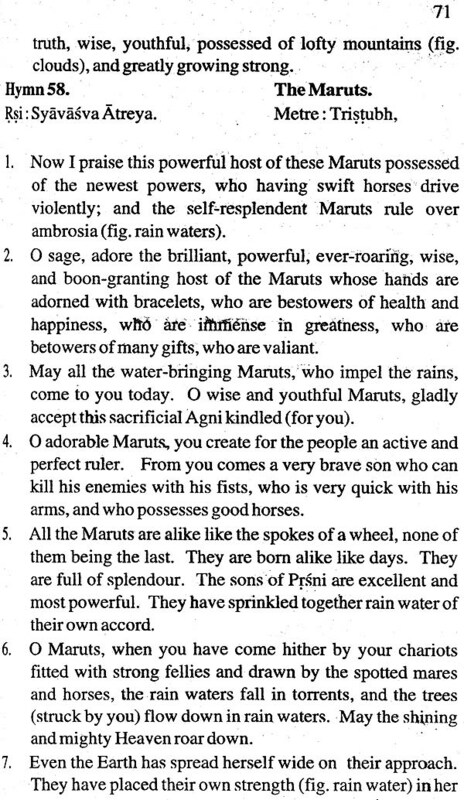 Visvamitra first praises these rivers as mothers and then implores them to be fordable so that he may cross them with his carts, chariots and with his followers Bharatas. The rivers grant his request and he thanks them. 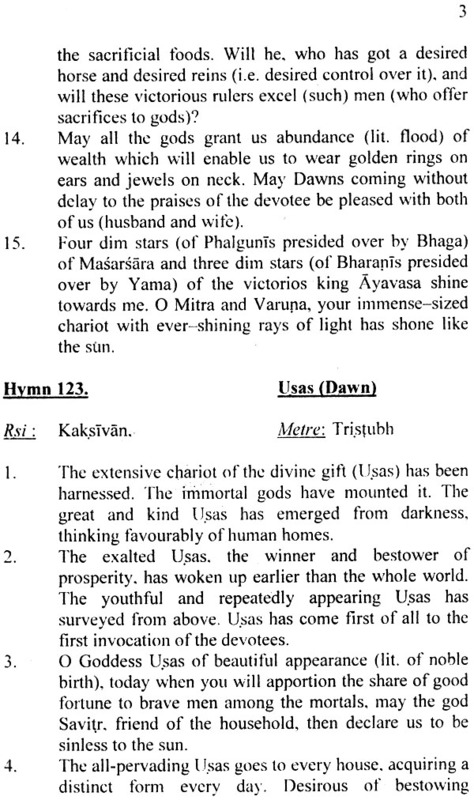 The hymn 23 of the Third Mandala points to the fact that the Bharatas were at that time settled in the region which was later called Kuruksetra; for this hymn alludes to the sacrifice performed by the two Bharatas Devasravas and Devavata on the banks of the rivers Drsadevati, Apaya and Sarasvati and at the Manusa lake of the Kuruksetra region. 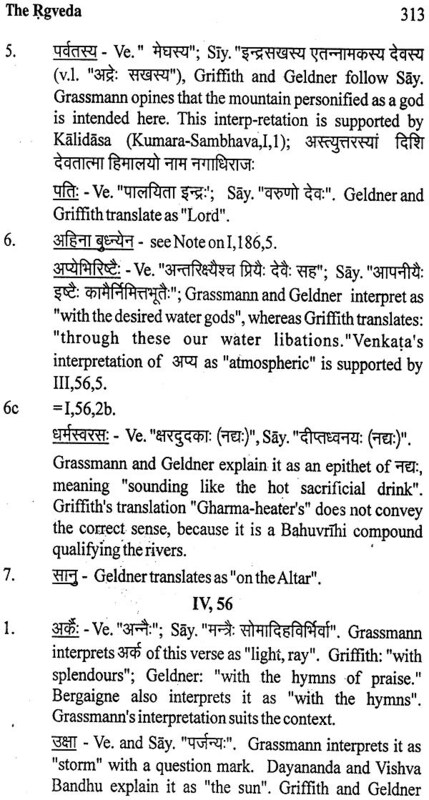 The above-mentioned rivers and the lake are eulogised in the Mahabharata, The Mbh. (IIl,83,4) describes the region lying between the Sarasvati and the Drsadvati as Kuruksetra. Praising the lake Manusa and the river Apaga, which is undoubtedly the river Apaya of the RV., the Mbh. 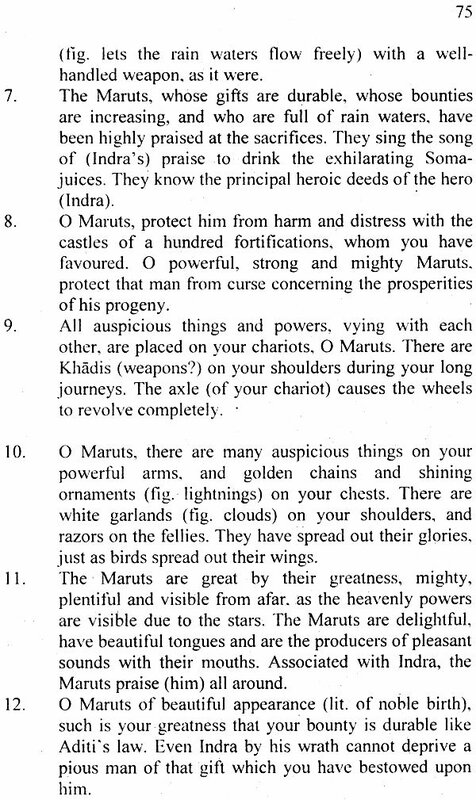 (IIl,83,65- 68) declares : 'O Lord of Kings, one should then go to the universally renowned Manusa where, O King, black antelopes, pierced with arrows by a hunter, attained manhood, after plunging into it. After having ablutions at that Tirtha, a celibate and devout man is purged of all sins and is glorified in Heaven. To the east of Manusa at a distance of just one Krosa flows, 0 King, the river Apaga which is frequented by the Siddhas. 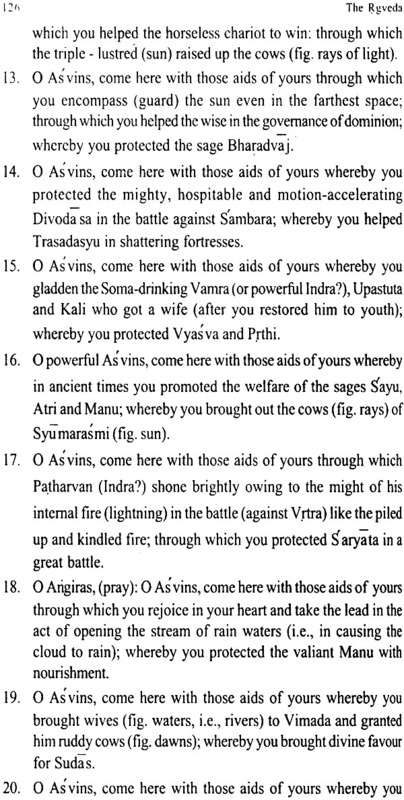 The close connection between Visvamitra and the Bharatas is evident from llI,33,12 where it is stated that the Bharatas crossed the Beas and the Satluj with Visvamitra, Visvamitra's close association with the Bharatas is further demonstrated by llI,53,12 which says that the prayer of Visvamitra protects the Bharatas. 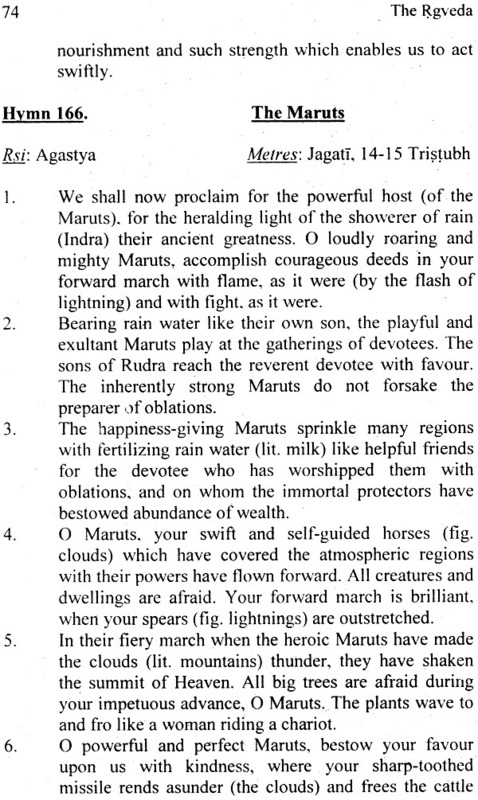 It appears that the Bharatas, who were at that time settled in the Kuruksetra regions, later merged with the Kurus who wielded power in the Kuruksetra region. 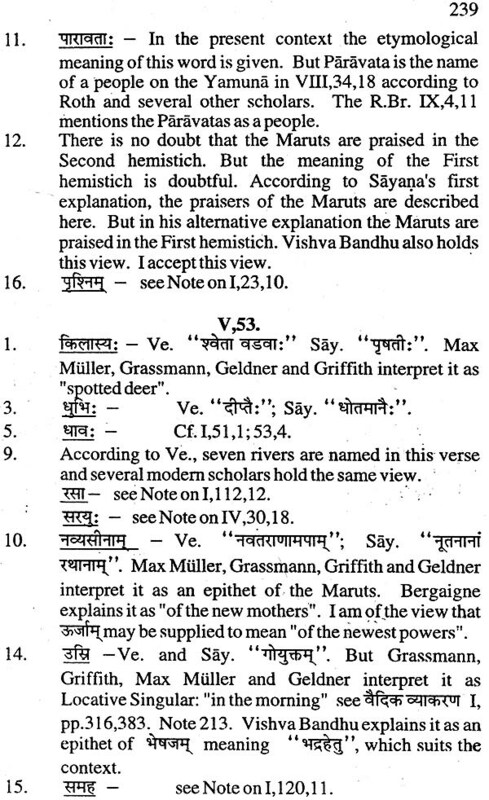 So a descendant of the Kuru family is often addressed as Bharata in the Mbh. A verse of Mandala III (III,62,1O), addressed to Savitri, is the famous Savitri Rk which is highly eulogised in Vedangas and the Smrtis, as it is composed in the Gayatri metre, it is also called Gayatri Mantra. 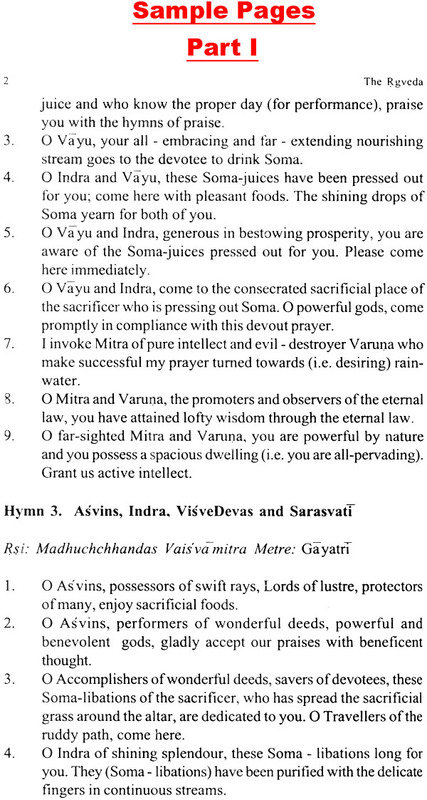 According to the Vedangas, this Savitri Rk must be recited at the beginning of Vedic studies. 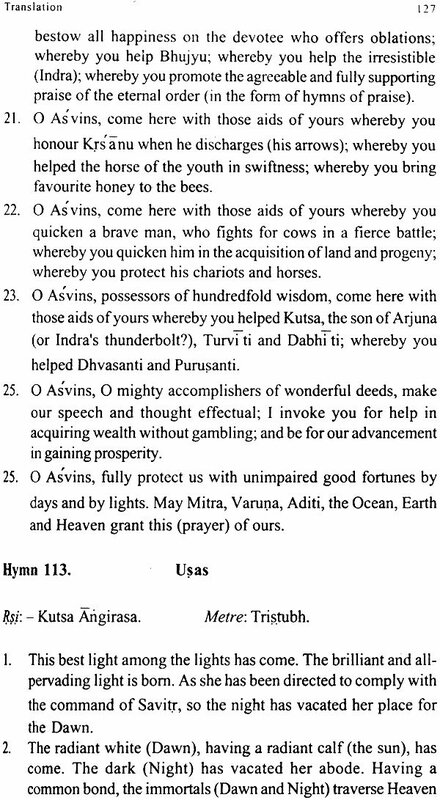 The Smrtis prescribe the recitation of this Savitri Rk for the expiation of various sins. This sacred verse forms an essential part of the daily prayer of the devout Hindus. The only geographical information available from the fourth Mandala is the mention of the river Sarayu (IV,30, 18). RV. 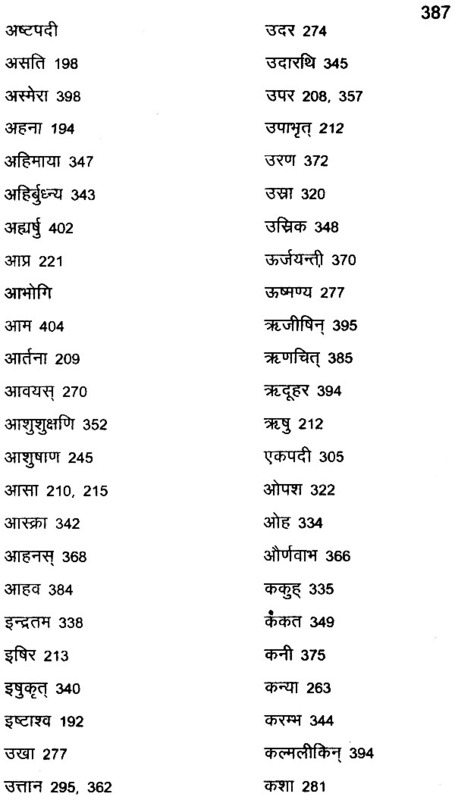 V,53,9 mentions the Sarayu along with the six well-known rivers of the North- West, viz. Rasa; Anitabha, Kubha, Krumu, Sindhu and Purisini, It is quite clear that the Sarayu is a river of the North-Western part of the Indian Sub-continent. See NoteonIV,30,18. The misinterpretation of IV, 18, 13 has led the ancient and modem scholars to draw wrong conclusions. 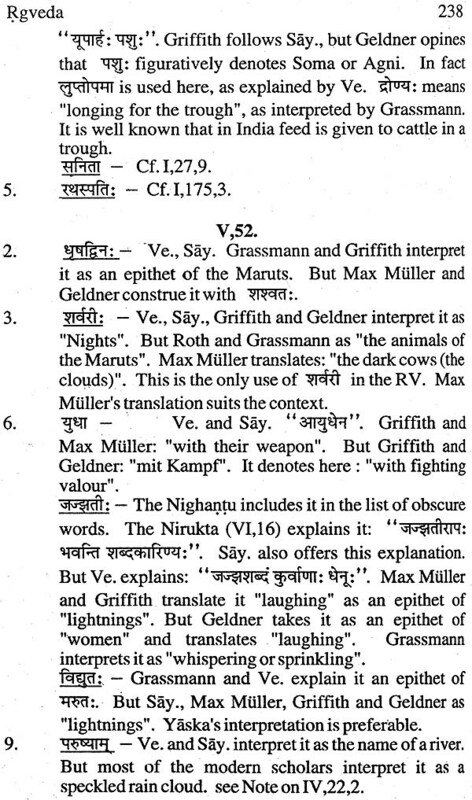 So the Manu- Smriti (X,106) says; "Vamadeva, who well knew right and wrong, did not sally himself when tormented (by hunger) he desired to eat the flesh of a dog to save his life." 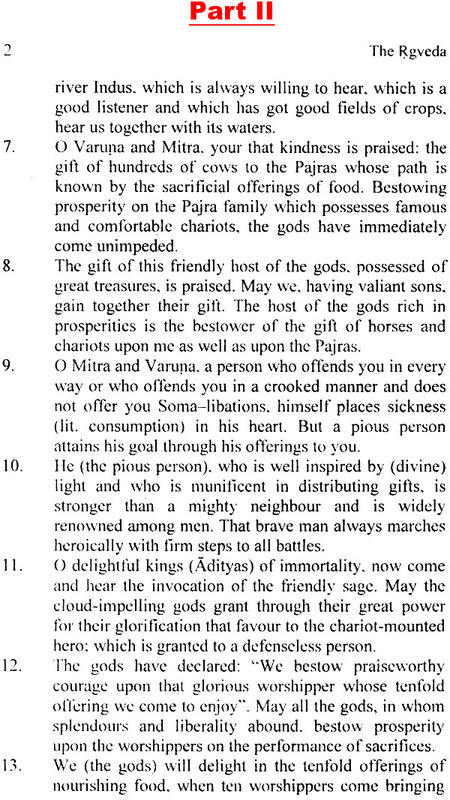 The Brhad, (IV,126) remarks: "When he (Vamadeva) cooked the entrails of a dog to worship the gods, seers and the Pitrs, Indra in the form of an eagle brought sweet Soma for him." The confusion about the meaning of this verse has arisen because of its wrong interpretation. 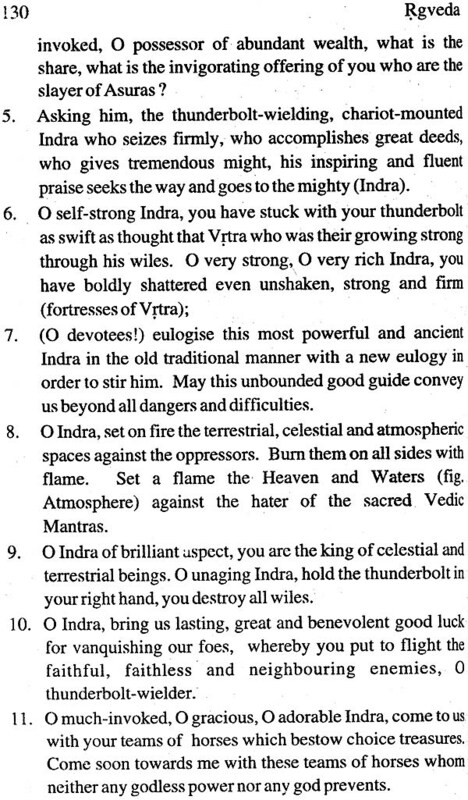 It may be pointed out in this connection that the speaker in this verse is Indra and not Vamadeva. 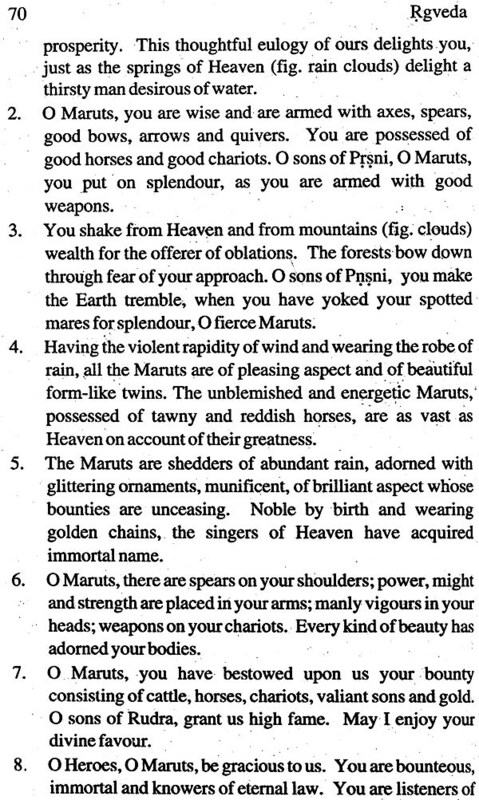 Secondly, the word Svan in the present context denotes the star Canis Major and not an animal dog. 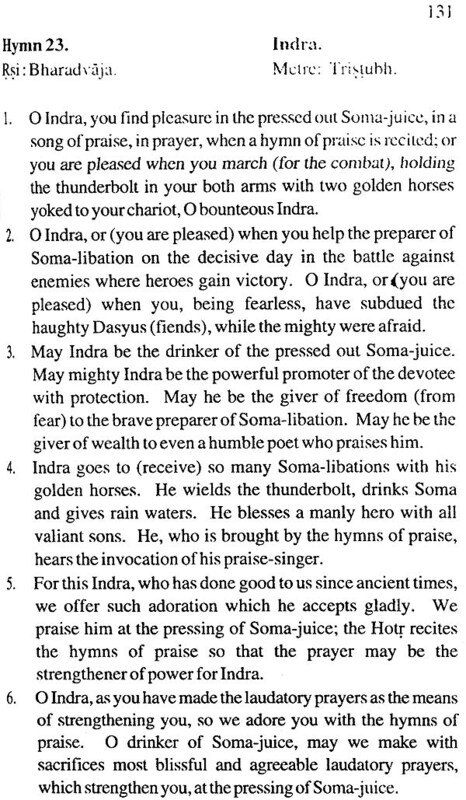 Moreover, the word Syena (eagle) figuratively denotes lightning. For further details see the Exegetical Note on this verse. 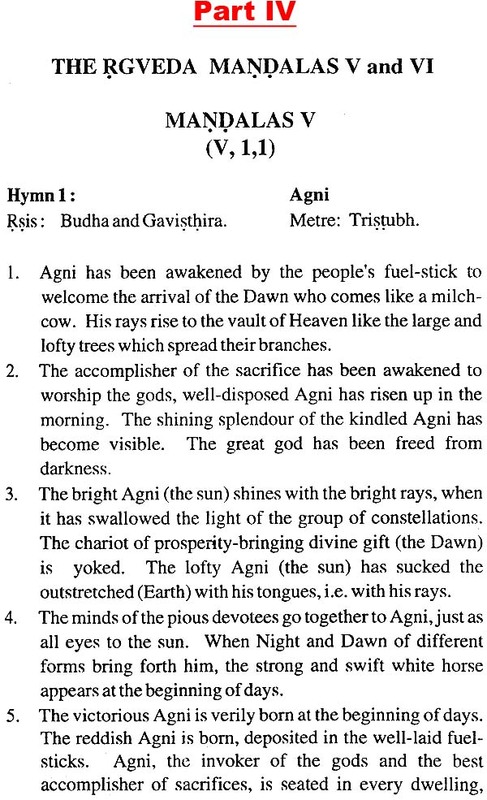 The 57th hymn of the Fourth Mandala is devoted to agriculturist. 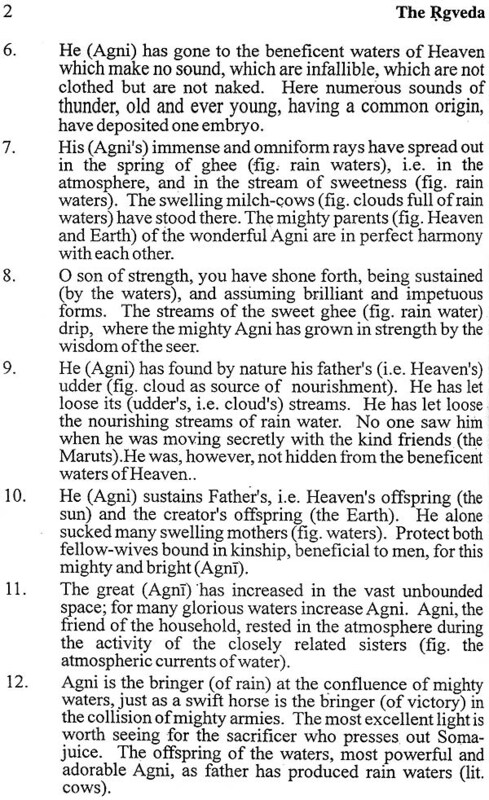 So in this hymn prayers are made to five agricultural deities, viz. 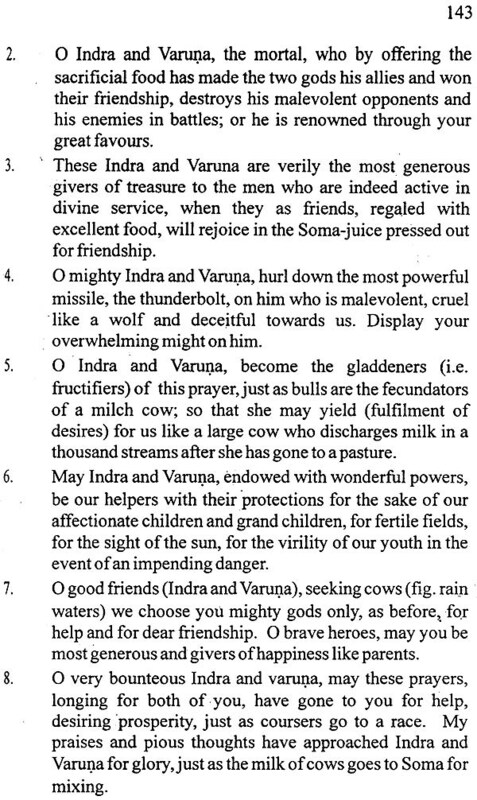 Ksetrapati, Suna, Sunasirau and Sita for good crops, for the happiness and welfare of plough- drawing oxen and ploughmen and for the happiness and prosperity of all concerned with agriculture. I thank Prof. I. D. Uniyal for his active co-operation in the publication of this work. I am thankful to Prof. T.S. Bindra for reading the proofs with great care.